We often recommend, or are asked by a client, to create infographics to visually convey complex concepts or multiple statistics. The challenge is to keep it simple among the barrage of information thrown at consumers on a daily basis. Viewers become accustomed to scanning over and through the media (web pages, blogs, print, posters, etc.) and not really reading or fully comprehending the materials their eyes have passed over. Infographics are a great visual solution that can transform an abundance of facts and numbers into creative imagery. Approximately 90% of information transmitted to the brain is visual, and visuals are processed 60,000 times faster than text by our brains. A well made infographic can draw attention and visually engage a viewer while quickly and easily delivering the desired information. 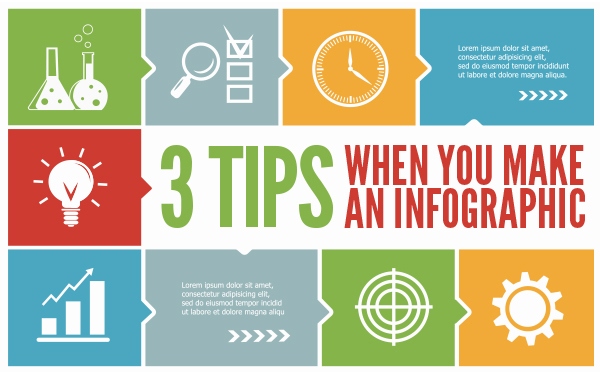 When creating an infographic, there are three important guidelines to remember. Don’t overcomplicate your infographic. Get to the point in the most concise way possible. Too much detail can overwhelm the viewer, causing them to miss the point being conveyed. Remember the old adage, less is more? That’s especially true with infographics. An overabundance of information can also crowd the pertinent facts or statistic that’s meant to be the hero. Make sure the infographic is relevant to your target audience. When designing or creating a style for the graphic, keep in mind the audience that will be viewing it. Make sure that it’s relevant to that group. (CHANEY, got an example?) An infographic designed to communicate with a specific target audience will be more successful than a generic theme that caters to all. Take the important information and create fun graphics, use big bold typefaces, arrange the page in a manner that draws the viewer down the page to the next important nugget of information. There are no rules about how an infographic should look as long as it’s easy to understand and relays the information in a simple manner. Pick a style you’re comfortable and confident in and have fun! As you layout the infographic, keep these three tips in mind to help improve the impact and understanding of your graphic. Now, all you have to do is share away and revel in your creative genius!